With four wine growing regions all within an hour's drive of Queenstown, there are plenty of wineries and cellar doors to visit. 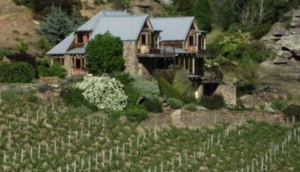 Central Otago is a world renowned region for Pinot Noir and is home to a number of award winning wines. Wine Tours will allow you to experience some of the best wineries in the region and enjoy sampling the wine without the worry of having a nominated driver. There are four main wine growing regions close to Queenstown - Gibbston, Bannockburn, Cromwell and Alexandra. Many of the wineries have tasting rooms with a number also serving lunch to accompany their award-winning wines. Gibbston, the closest, is a mere 30 minute drive from the centre of Queenstown while Alexandra, the furthest region from Queenstown, is a 75 minutes drive. The wines of Central Otago are award-winning not just because of their quality but also because they vary so much in taste, aroma and complexity. The landscape of this region, characterised by mountains and gorges, creates a large variation in temperature. Along with the wildly varying topography this gives rise to many micro-climates and soil variations with each wine growing region producing very separate and distinct wine.